INISHOWEN’S MOST dangerous drivers have escaped penalty points since a legal loophole letting them off the hook still hasn’t been closed. 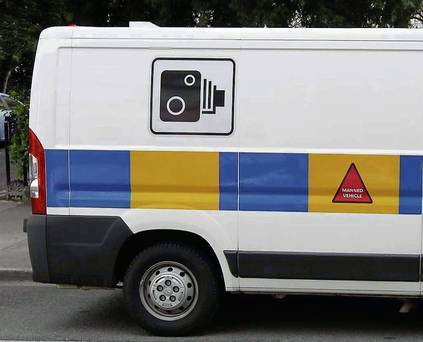 It’s emerged that court clerks still aren’t recording guilty drivers’ licence numbers and sending them to the Road Safety Authority – the body which applies the points. This means those disqualified from driving may also be continuing to drive without fear of being caught – because in some cases it can take up to three months for gardai records to be updated. While others can avoid getting points on their licence, and not declare their points to insurers. The news comes as it is revealed that in the past 16 months just 46 people convicted driving offenders in Inishowen have had penalty points applied to their licences after being brought before the courts. They are avoiding having their points being recorded by failing to produce their driving licences in court. These 46 people are a far cry from the total number that have been convicted for driving offences here in the past 16 months. In Buncrana there were only 21 convicted driving offenders recorded on the Courts Service Criminal Case Tracking System, (CCTS) and just 25 in Carndonagh. This information is shared with the RSA, who then share it with gardaí. Road safety group PARC has called on judges to adjourn cases where driving licences are not submitted in court and want to see all drivers summoned to court on penalty points offences producing their licence on conviction.